Hello All you lovely people out there! It's now 2017 and welcome back to #MeetTheBeauties. My interview series has had a little bit of a makeover since it's a new year and all. 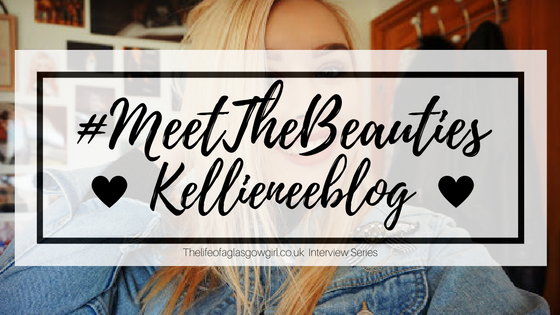 Starting off the new lot of Beauties being interviewed we have Kellie from Kellieneeblog. I can't wait for you all to get to know her! My name is Kellie Nee and I'm 19! I run a Beauty and Lifestyle blog and I now also run a YouTube Channel. I'm a big animal lover and love the world around me. I have a passion for films and I'm also a chocoholic! At the minute my blog name is fairly straight forward...Kellie Nee Beauty and Lifestyle blog! I l know...how original! But I do want to come up with a name soon but it's such a hard decision. Something like In The Frow or Hello October...something fun and creative but has a meaning to me. I have been blogging since August 2015 and time has gone so so quickly. It used to feel so weird having my own little blog and I used to question everything I did to make sure it was right. Now it feels like second nature to me and something I'm very comfortable with! I'm so happy with my blog and can't wait to see what happens in the future. I have some amazing supporters and I am grateful for every single person. I also can't wait for more people to join my little blog community too! So exciting. 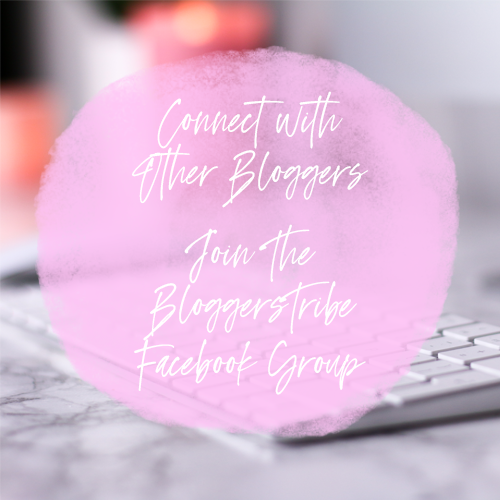 I am inspired by so many different bloggers out there, so many amazing blogs! My biggest inspiration is Victoria also known as In The Frow. 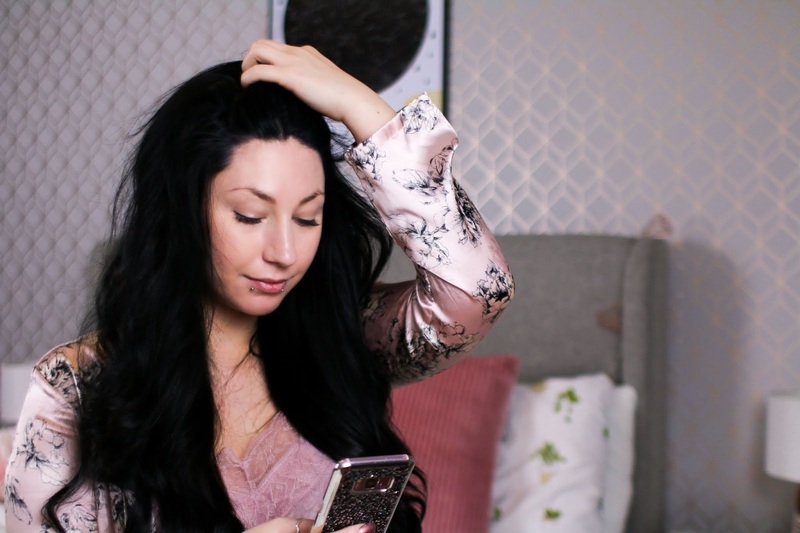 I adore her blog so much and it made me want to start one myself. I love her style of writing, blog layout and her pictures are always incredible. She is one talented lady. I also really love her personality too, an all around amazing inspiration to me. I'm no professional but I would say not to put too much pressure on yourself. If you can't upload a post one week, don't beat yourself up about it. If you feel like what you're writing something people will judge or it won't be popular, who cares? As long as you're happy and proud of what you have done then that's all that matters. 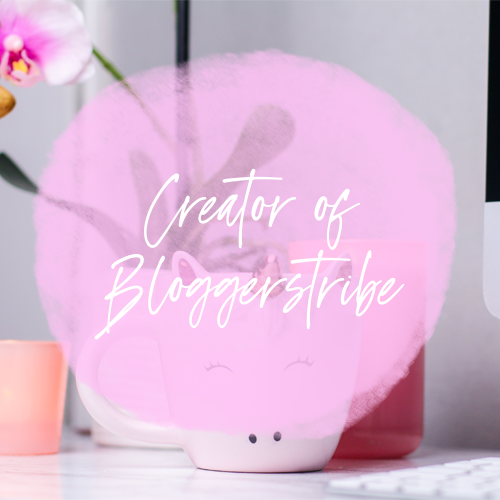 You should never feel pressured to making your blog be a certain way to fit in with everybody else, just do what makes you happy and make a blog that YOU love working on. Finding inspiration for my blog posts can come from a variety of places! Reading other blogs always inspires to me write and to create better content. I also feel like having time to relax and take some time to think always brings up quite a few new ideas. Sometimes I make the time to sit and think of ideas or sometimes they will just come to me at the most random points. I usually have to write it down straight away before I forget. My dream holiday would either be at Disney because who doesn't love Disney? Or...my ultimate dream Holiday would be travelling the world. I would LOVE to see so many different places and beautiful attractions. The world is so incredible and there are some amazing things to see. Travelling the world would make me so so happy and I would just love experiencing something new everyday. I would also love to make a difference on this holiday too! Helping out communities that are struggling, rescuing animals and saving the environment. I really loved writing my post all about going cruelty free with makeup as this is a big change that was so important to me. This was a popular post on my blog for sure and the video I made for my channel is still one of the most viewed too. I love writing any advice or positivity posts in general. Those tend to be my favourites. These are also my favourite types of posts to read too. So many different platforms! If you do decide to go and check me out on any of these or want to support me in any way, THANK YOU so much in advance. Any support big or small always means the world to me and is always appreciated. If you could follow my blog and subscribe to my channel it would me the world to me. Special thanks to Kellie from Kellieneeblog.